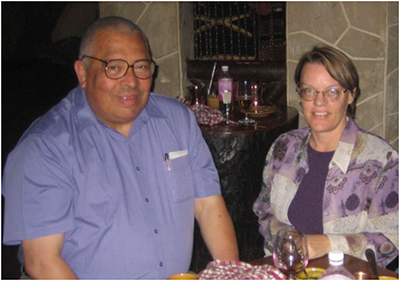 DR. ADEL A. KADER (1941-2012) was a Professor Emeritus of Postharvest Physiology in the Department of Plant Sciences, the University of California at Davis from 2007 until his death in December 2012. 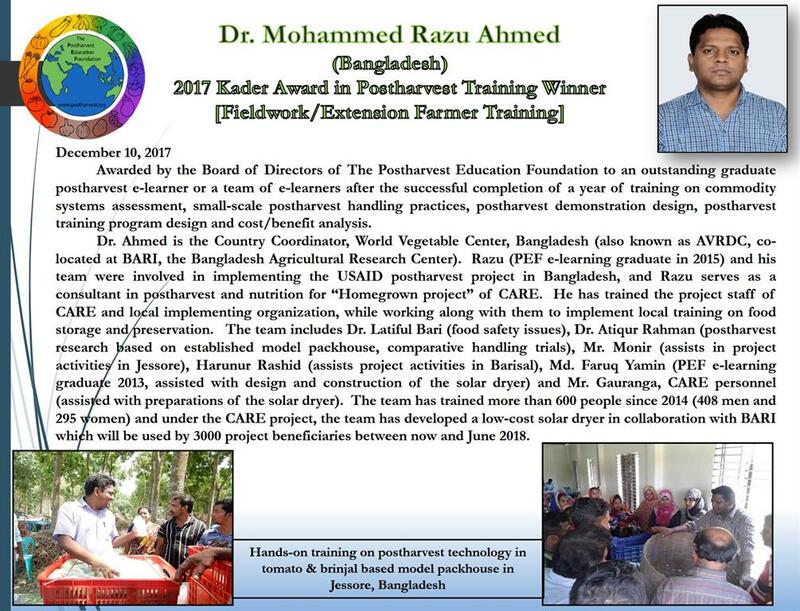 Dr Kader's activities included mentoring graduate students and postdoctoral researches, participation in teaching several courses on postharvest physiology and technology of horticultural crops and extension of information to producers, handlers, and consumers. 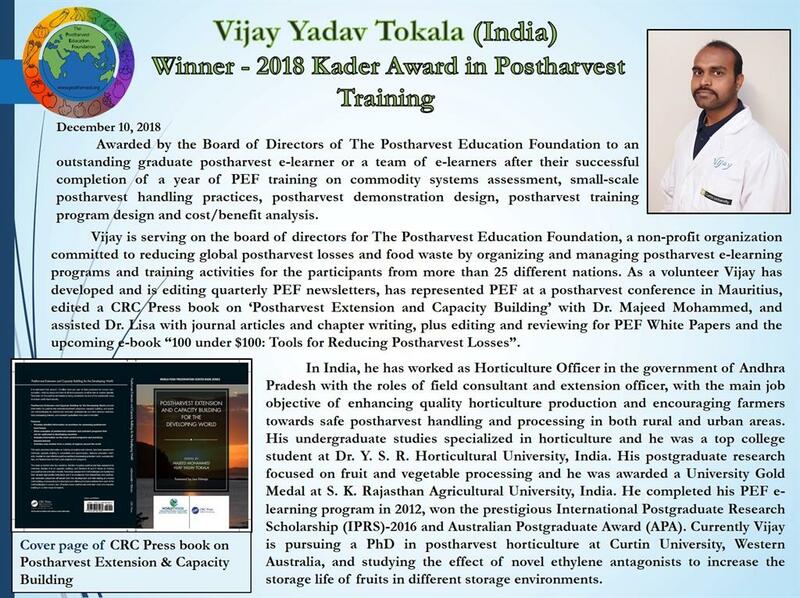 Dr Kader published more than 230 technical publications and edited and co-authored a book on Postharvest Technology of Horticultural Crops. He was the Technical Editor of the UC Davis Postharvest Internet Site (http://postharvest.ucdavis.edu), which receives more than 250,000 hits per month. 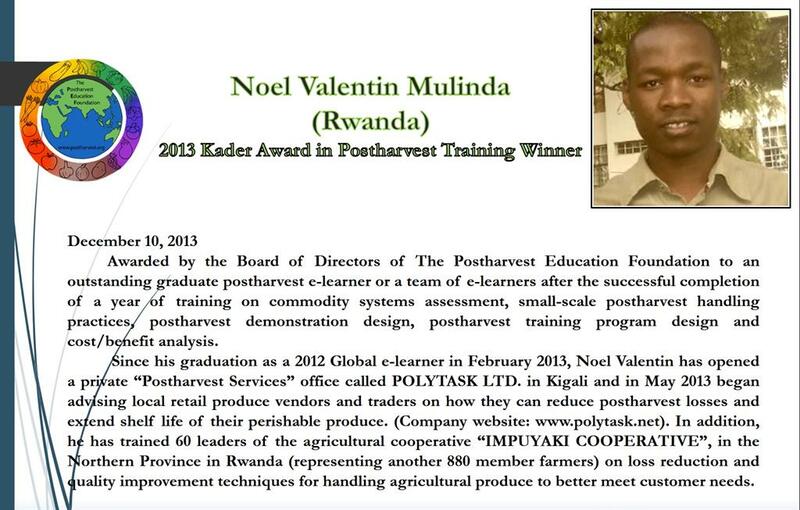 He served as a consultant on strategies for maintaining quality and reducing postharvest losses of horticultural perishables both within the U.S. and in many other countries, including Chile, China, Egypt, Ghana, India, Jordan, Kuwait, Lebanon, Mexico, Thailand, and the Philippines. He served as a member of the Editorial Boards of several scientific journals, the Scientific Advisory Council of the World Food Logistics Organization, the Research Advisory Board of the Produce for Better Health Foundation, and the California Citrus Quality Council. 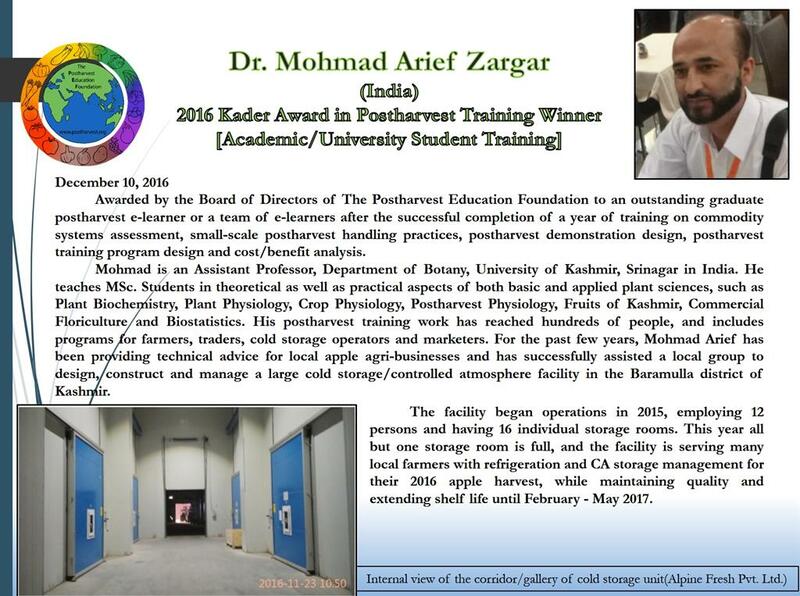 Dr Kader received awards for outstanding teaching in 1989 and for distinguished graduate mentoring in 2003 from the University of California at Davis and for best research publications in 1978 and 1980 from the American Society for Horticultural Science (ASHS). He was elected a fellow of ASHS in 1986, President-elect in 1995, President in 1996, and Chairman of the Board of Directors in 1997. He was selected as the Outstanding Horticulturist of 1997 by the Horticultural Research Center at Laval University, Quebec, Canada. In October 2000 Dr Kader received the “Award of Distinction” from the College of Agricultural and Environmental Sciences and the “Alumni Citation for Excellence” from the Cal Aggie Alumni Association at UC Davis. In April 2010 he received an honorary doctorate degree from the University of Cartagena in Spain. The PEF Board will greatly miss his strong leadership and guidance. 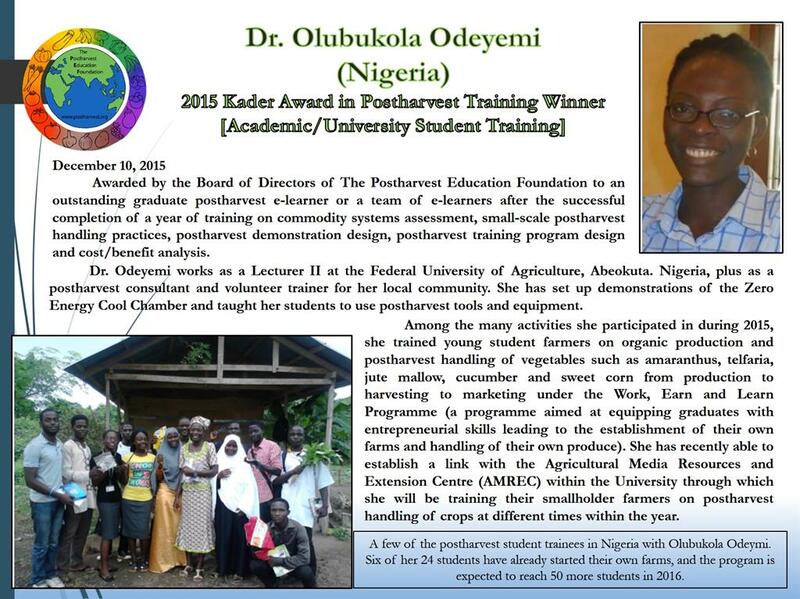 This honor is announced on December 10, awarded annually on the anniversary of the passing of Dr. Adel A. Kader by the Board of Directors of The Postharvest Education Foundation to the PEF e-learning program graduate who has had the greatest impact in providing education to local farmers, traders, processors and/or marketers and helping them to reduce food losses in their village, country, or region after the successful completion of the course. The awards honour the late Professor Adel A. Kader, who we believe contributed more to the knowledge and understanding of postharvest technology of fruits and vegetables than any other individual in the field. Dr Kader’s knowledge, experience and generosity of spirit continue to inspire us today through PEF and the Kader Awards. Announced on December 10, 2018. 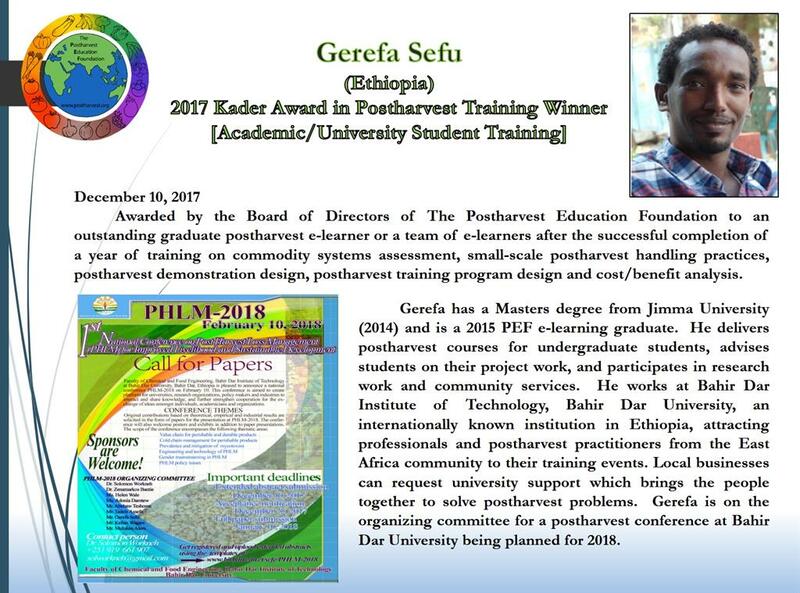 Download the 2018 Kader Award Announcement. Announced on December 10, 2017. Download the 2017 Kader Award Announcement. Announced on December 10, 2016. Download the 2016 Kader Award Announcement. Announced on December 10, 2015. Download the 2015 Kader Awards Announcement. 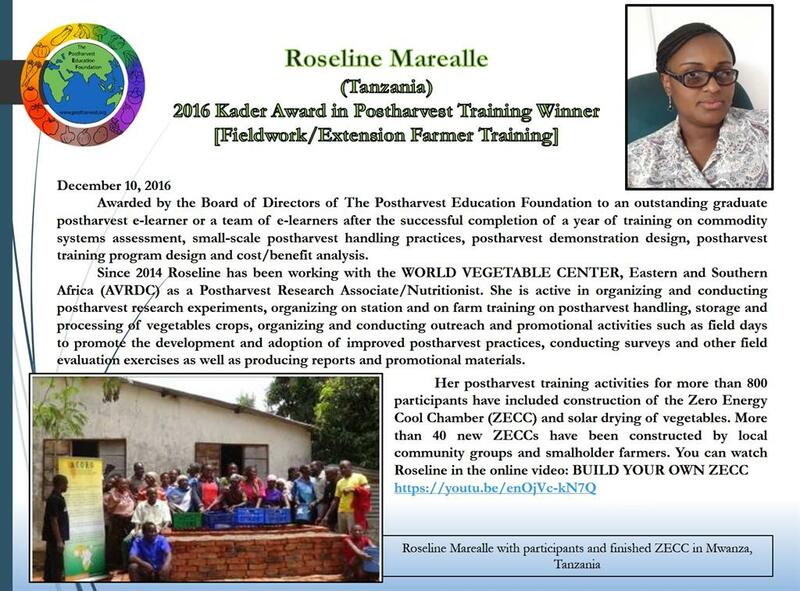 Honorary mentions: Radegunda Kessy (Tanzania) and Mohmad Arief Zargar (India). Announced on December 10, 2014. 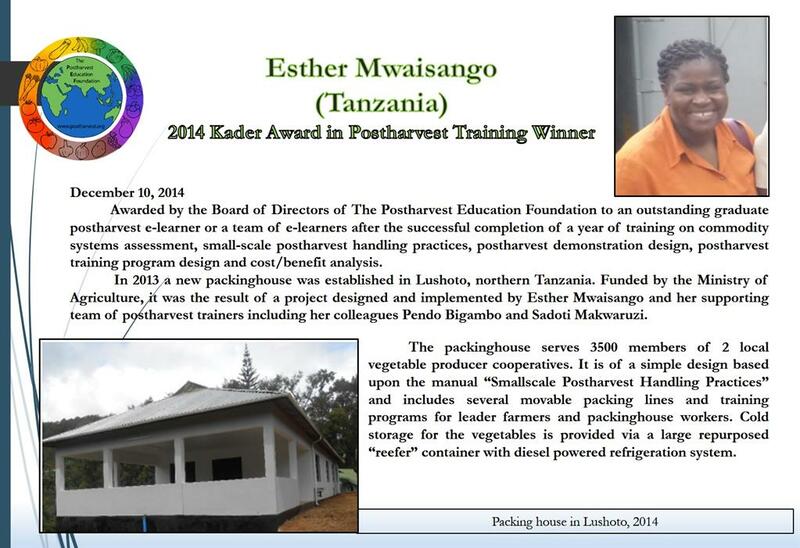 Download a PDF of the 2014 Kader Award Announcement. 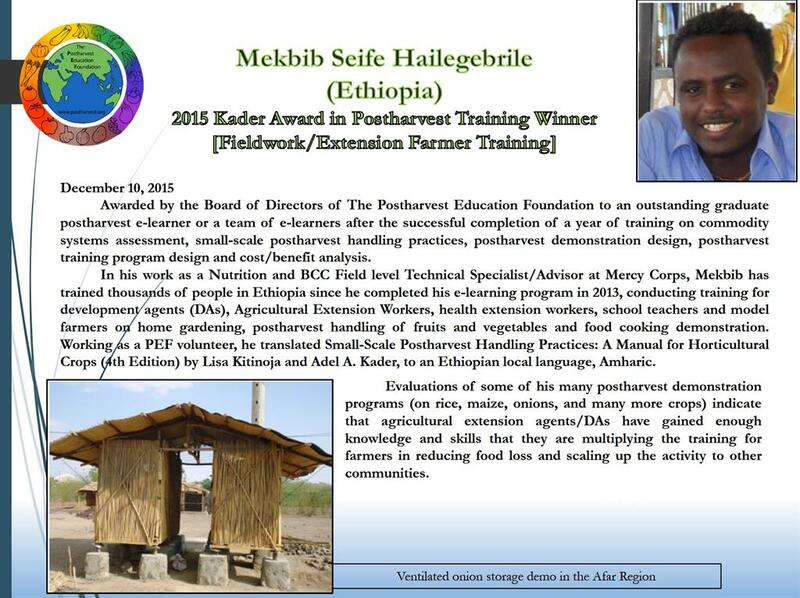 Honourable mentions 2014: Mekbib Seife Hilegebrile, Ethiopia and Olubukola Odeyemi, Nigeria.